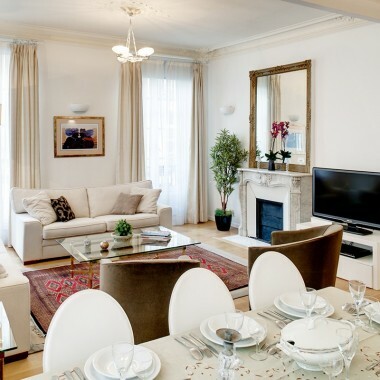 This beautiful apartment is situated just 6 – 7 minutes walk from the Palais Royal Gardens, and close to some excellent restaurants and fashion boutiques. The 2nd arrondissement also has a reputation for its Japanese food shops and restaurants. The apartment (110m2) is on the second floor with lift access. The living room is situated on the corner of the building, with light on two sides. The white walls serve as a backdrop to the deep colours of the oriental carpets, the floorboards and the marble fireplace. From the living room, there is access to one of the bedrooms, with en-suite bathroom and a beautiful black marble fireplace. 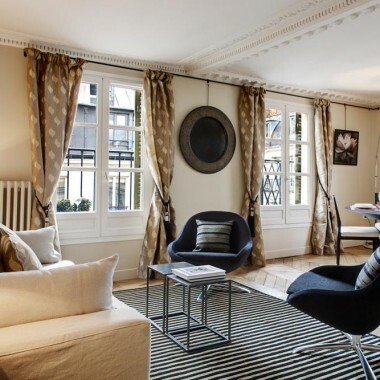 The other two bedrooms, one with a private balcony, are accessible from the entrance and overlook the rue des Petits Champs. The discreet opulence of the living room contrasts with the quiet minimalism of the three bedrooms. Two of the bedrooms have en-suite bathrooms, and there is also one independent shower room. Amenities include Wi-Fi internet, TV, DVD, a hairdryer, washing machine/dryer and ironing facilities. 1 master bedroom with double bed (160 x 200) and an en-suite bathroom. 1 bedroom with double bed (160 x 200). 1 bedroom with two single beds (2 x 90 x 200) and 1 en-suite shower room. 1 double sofa bed (140 x 200) located in the living room. 1 independent shower room. WC’s (one in each of the bathrooms). 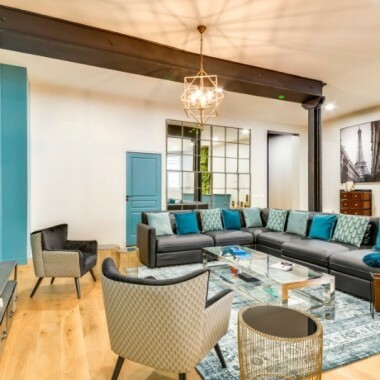 A luxury rental apartment in Paris situated just 6 – 7 minutes walk from the Palais Royal Gardens, and 4 minutes from metro stations. 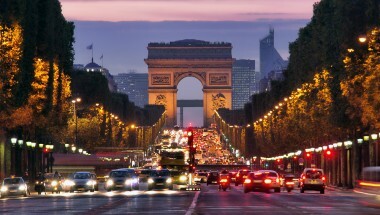 The 2nd arrondissement offers a good selection of shops and restaurants and is also known for its Japanese food shops and restaurants.